The Salisbury Public Library has a solution! You may have noticed that we have been building up our eResources and programming since we moved into our new building! Your new library is not just your Grandmother’s library, but a multi-faceted community resource that offers many services intended to improve and enrich life for every member of the community. We will be promoting one new resource a month. Check our calendar for events related to these resources throughout the year! You’ll be surprised what your new library can do for you. January –Universal Class -take a self-paced class online. June— Museum Passes! School’s out! What can you do with the kids this summer? July--DMV Practice Tests—teen learning to drive this summer? August– Hot Spots for vacationers - get the internet wherever you are! 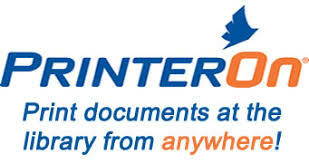 September- Printer On - send your print jobs to the library from home! Long commute? Download free eAudiobooks! No Wi-Fi? Check out one of our hotspots and get Wi-Fi at home, at your campsite, or even in the car! Learning to drive? Access manuals and practice exams on our MA DMV database. Tired of paying for eBooks? Check them out from the library instead! Broken printer? Send your print job to the library remotely with Printer On. Rainy day and nowhere to play? Check out our pass to the Children's Museum of New Hampshire and many other museums! Stiff or stressed? Check out our yoga schedule. Need resume help? Use the easy template on our Career Transitions database. Baffled by your new iPad? Book a 30 minute how–to appointment with a librarian. Interested in learning how to make soap, write a business plan, how to do reiki or learn Excel? Try one of 500 free, self-paced classes on Universal Class. Sliding piles of magazines everywhere? Take them with you anywhere on your tablet with RB Digital Magazines. Like art, but not a millionaire? Get discounted tickets to the MFA, ICA, Aquarium & more! Studying for the police, GMATS, or real estate exams? Access study material for hundreds of different exams on our Testing & Education Reference Center database. Shy about reading? Practice by reading to our Therapy Dog, Prince. He's at the library every Thursday between 4-5 PM. Make sure to register!